“Lecturers tried to present motions of no confidence at the union’s congress this week but were thwarted when UCU employees walked out twice on the advice of their union, Unite. Ms Hunt did not leave with them but the chairman suspended proceedings so the motions could not be heard. The conference ended yesterday. The motions were brought by the Exeter and King’s College London (KCL) branches, who said that they had been ‘emotionally blackmailed’ to withdraw them. When they refused and delegates voted to hear the motion, officials walked out of congress, which could not continue without them. 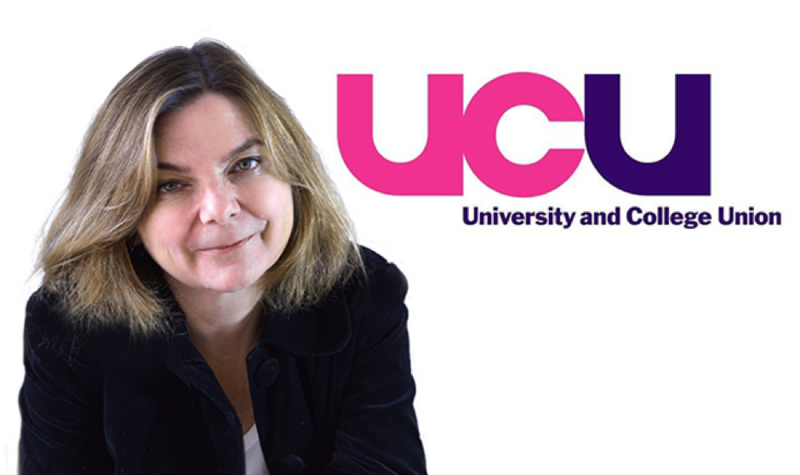 KCL lecturers said: “We were quietly urged to ‘do what’s good for the union’ and drop motion 11. We were told that our motion might jeopardise the livelihood of paid officials’ children … that it threatens the unity of our union at a time when ‘UUK is watching us, on Twitter and elsewhere’. The Exeter branch called the walk-outs ‘a de facto attempt to derail the congress’”. (Nicola Woolcock, ‘Sally Hunt, leader of lecturers’ strike, dodges two no-confidence votes’, The Times, 2 June 2018). Searching for clarification in the letter which Hunt subsequently dispatched to individual members does nothing to clear the bureaucratic fog. After a breezy assurance that “By common agreement UCU has enjoyed the best year in its history”, she gets down to the knotty business of explaining why it was that UCU employees (who are themselves members of another union, Unite) had felt moved to walk out twice, thereby suspending congress and shutting down democratic debate. “The staff, who are organised by the Unite trade union, had collectively objected to several motions which they believed undermined their agreements with UCU – some of which the movers agreed to amend. However, the final decision by staff happened in response to two motions which remained un-amended including one which asked Congress to call for my resignation and another which sought to publicly censure me. So by this alchemy the attempt to hold the UCU leadership accountable is somehow transmuted into a heartless attack on the employment rights of union members! Thus proving that there is no crack too thin for a labour aristocrat to slither through.